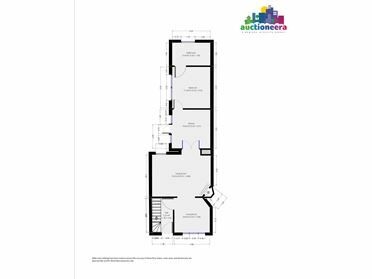 Important Note: To see the current highest offer, or to make an offer on this property, visit https://www.auctioneera.ie/property/225-sarsfield-road-dublin-d10-dp08 All open viewing times and dates are listed in the open viewings section directly above this description. 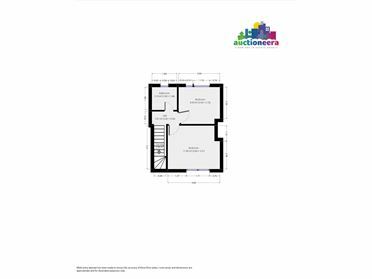 Auctioneera is delighted to bring 225 Sarsfield Road to the market. This two-bedroom terraced house in Kilmainham offers plenty of potential to prospective owners. The living room receives good natural light from the large window facing out to the front of the property. 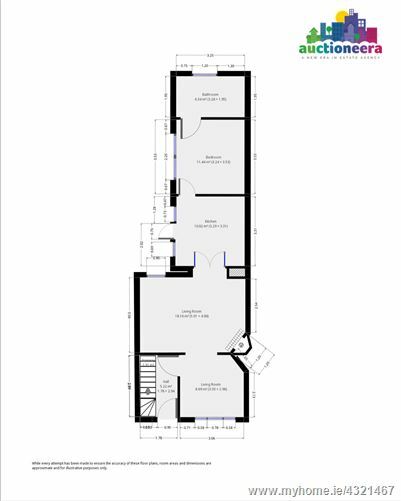 There are double doors leading into the kitchen, with an extension to the house containing a spare room adjacent to a bathroom with accessible features such as a grab rail and a walk-in shower. There are two double bedrooms and a bathroom on the first floor, with both bedrooms receiving plenty of natural light. The back garden offers much potential to prospective owners and allows for privacy, with a shed at the end of the garden providing ample storage. The property is located in Kilmainham, which lies very close to Dublin city centre and is steeped in history. The Irish National War Memorial Park, Phoenix Park and Kilmainham Gaol are all within walking distance of 20 minutes or less, while local amenities include shops, bars, childcare facilities and sports clubs. The nearest bus stop is just a 5-minute walk away, while it is a short drive from Blackhorse LUAS Stop (red line) and Heuston Station. This property would suit an owner occupier or a buy-to-let investor seeking a strong rental yield.